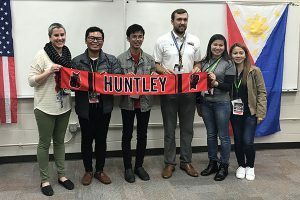 Huntley High School recently hosted an international delegation of students and educators through the Philippine Youth Leadership Program (PYLP). 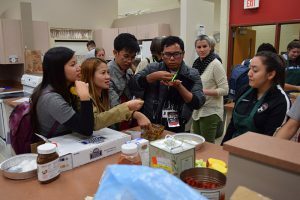 The visit marked the third time HHS has hosted the leadership development program for Filipino students aged 15-17. 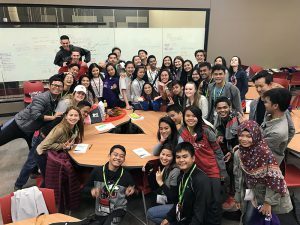 The PYLP includes workshops and learning activities in the Philippines and a four-week campus-based study and exposure tour in the United States, completed in partnership with the U.S. Department of State, Northern Illinois University and the Filipino Institute for the Promotion of Integrity & Nobility (FILIPINO, Inc.). 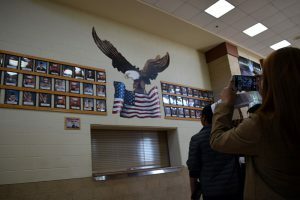 In addition, a number of professional educators from the country came to tour the school. 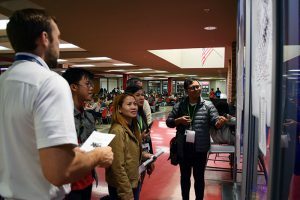 “Our kids and staff were so deeply affected by these students and teachers that work so hard yet have so little,” said Anne Sharkey, an HHS social studies teacher who has coordinated these visits and who previously traveled to the Philippines on a Fulbright-Hays tour in 2015. All PYLP participants are trained on responsible citizenship, civic leadership and community development, and project management. 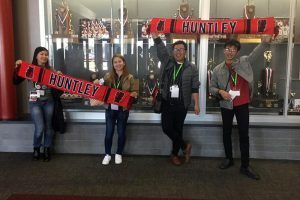 According to Sharkey, the organizations who have brought this program to Illinois have been pleased with the partnership with HHS and hope to expand the school’s role in future visits.